Temozolomide is a first-line treatment for newly diagnosed glioblastoma. In this review, we will examine the use of temozolomide in other contexts for treating gliomas, including recurrent glioblastoma, glioblastoma in the elderly, diffuse low- and high-grade gliomas, non-diffuse gliomas, diffuse intrinsic pontine glioma (DIPG), ependymoma, pilocytic astrocytoma, and pleomorphic xanthoastrocytoma. Temozolomide improved survival in older patients with glioblastoma, anaplastic gliomas regardless of 1p/19q deletion status, and progressive ependymomas. Temozolomide afforded less toxicity and comparable efficacy to radiation in high-risk low-grade gliomas and to platinum-based chemotherapy in pediatric high-grade gliomas. The success of temozolomide in promoting survival has expanded beyond glioblastoma to benefit patients with non-glioblastoma tumors. Identifying practical biomarkers for predicting temozolomide susceptibility, and establishing complementary agents for chemosensitizing tumors to temozolomide, will be key next steps for future success. Hart MG, Garside R, Rogers G, Stein K, Grant R. Temozolomide for high grade glioma. Cochrane Database Syst Rev. 2013:Cd007415. https://doi.org/10.1002/14651858.CD007415.pub2. Louis DN, Perry A, Reifenberger G, von Deimling A, Figarella-Branger D, Cavenee WK, et al. The 2016 World Health Organization classification of tumors of the central nervous system: a summary. Acta Neuropathol. 2016(131):803–20. https://doi.org/10.1007/s00401-016-1545-1. Lecavalier-Barsoum M, Quon H, Abdulkarim B. Adjuvant treatment of anaplastic oligodendrogliomas and oligoastrocytomas. Cochrane Database Syst Rev. 2014:Cd007104. https://doi.org/10.1002/14651858.CD007104.pub2. Fisher B, Zhang P, Macdonald D, Chakravarti A, Lesser G, Fox S, et al. ACTR-2. 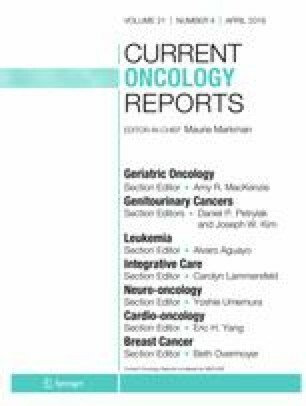 NRG Oncology/RTOG 0424: Long term results of a phase II study of temozolomide-based chemoradiotherapy regimen for high risk low-grade gliomas. Neuro-Oncology. 2018;20. https://doi.org/10.1093/neuonc/noy148.039. • Seidel C, von Bueren AO, Bojko S, Hoffmann M, Pietsch T, Gielen GH, et al. Concurrent radiotherapy with temozolomide vs. concurrent radiotherapy with a cisplatinum-based polychemotherapy regimen: acute toxicity in pediatric high-grade glioma patients. Strahlenther Onkol. 2018:194:215–224. Doi: https://doi.org/10.1007/s00066-017-1218-6. This study identified that cisplatin-based chemotherapy demonstrated increased toxicity (mostly hematologic), with more interruptions of treatment, in comparison with temozolomide in pediatric high-grade gliomas. While the efficacy of chemotherapies for pediatric high-grade glioma are similar (and poor), the authors argued for temozolomide use with radiotherapy because of relatively lower toxicity. Precision Medicine in Cancer Treatment. https://www.cancer.gov/about-cancer/treatment/types/precision-medicine. Accessed November 1, 2018. Kaley T, Touat M, Subbiah V, Hollebecque A, Rodon J, Lockhart AC, et al. BRAF inhibition in BRAF(V600)-mutant gliomas: results From the VE-BASKET study. J Clin Oncol. 2018;Jco2018789990. https://doi.org/10.1200/jco.2018.78.9990.